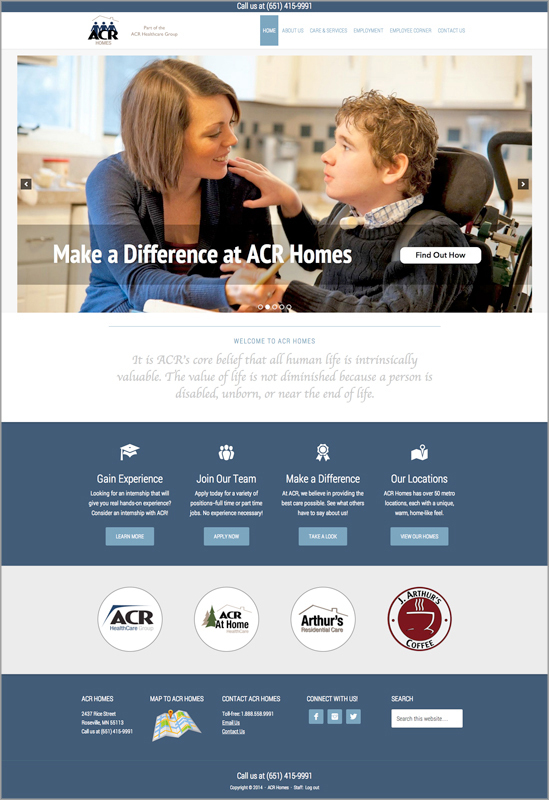 The ACR HealthCare Group provides a wide array of residential support services for people with physical and/or developmental disabilities; Home Health, Homemaking and Companion Services and an exclusive residential care home for seniors. The organization currently supports over 200 individuals in over 50 homes throughout the five-county Twin Cities metropolitan area. 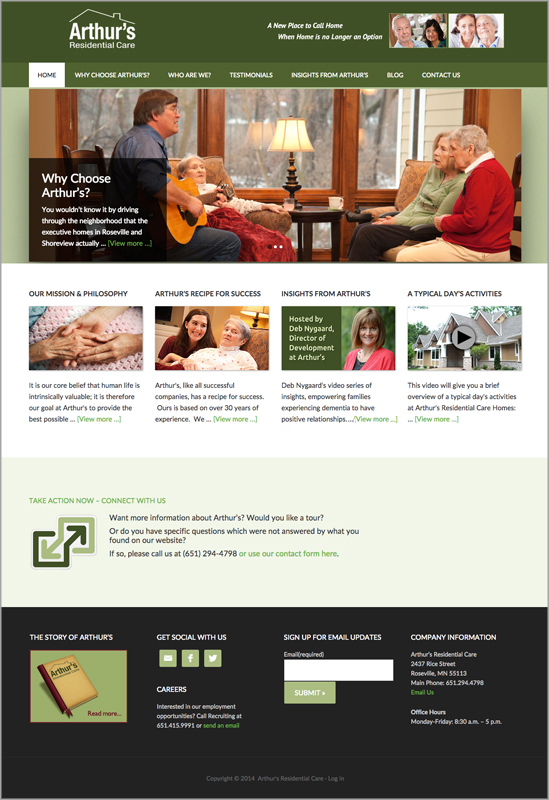 Innov8Press was pleased to rebuild and deliver two, new mobile responsive websites for their key offerings: ACR Homes and Arthur’s Residential Care. The sites also each offer their own unique aspects that were critical to streamline what ACR offers. For example, ACR Homes has an online application form that replaces a multi-page PDF one and Arthur’s delivers a thought leading video channel for families with loved ones afflicted with dementia.